There’s no pairing quite like fine, barrel-aged bourbon and chocolate. Now you can enjoy these two classic tastes in one bite-sized experience! 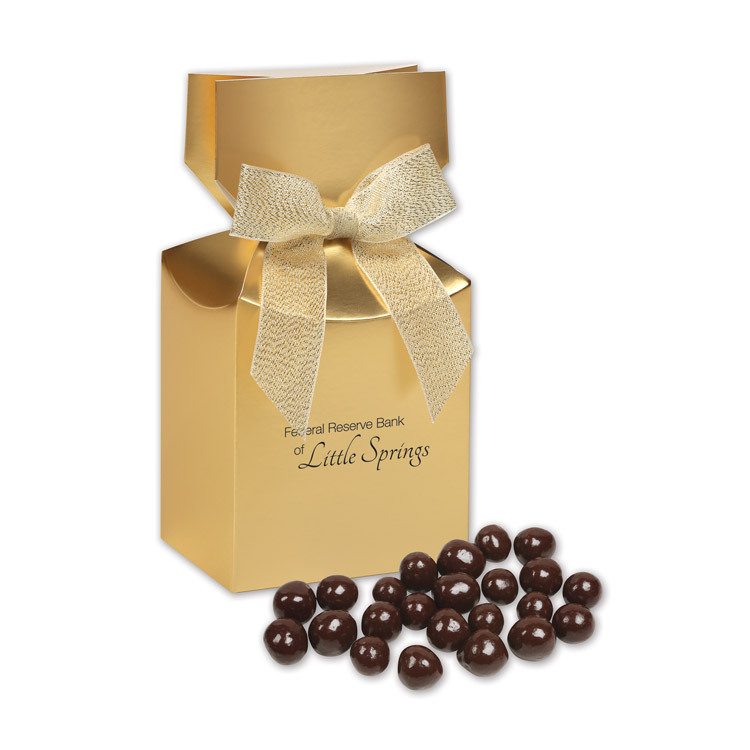 These sophisticated cordials feature a rich dark chocolate shell encasing a liquid center infused with smooth bourbon flavor. Don’t worry, they’re easy to enjoy responsibly—the cordials are non-alcoholic. Five delectable ounces are included in each box. Gold gift boxes are foil-stamped in your choice of black, silver, blue, green, red, or white and complete with a neutral metallic bow.